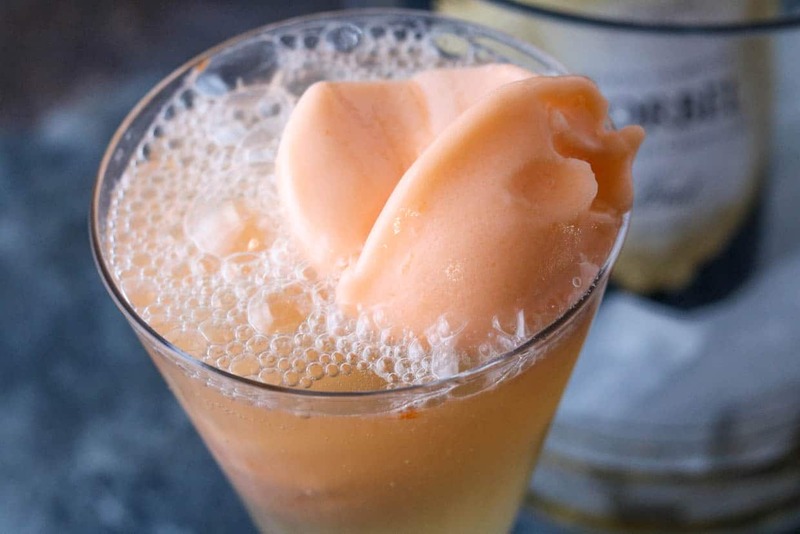 Who’s ready for an adult ice cream treat for NYE, like this orange sherbet champagne float?!? Champagne and sherbet you ask? Of course! Add this to your NYE party menu and your guests will LOVE you! 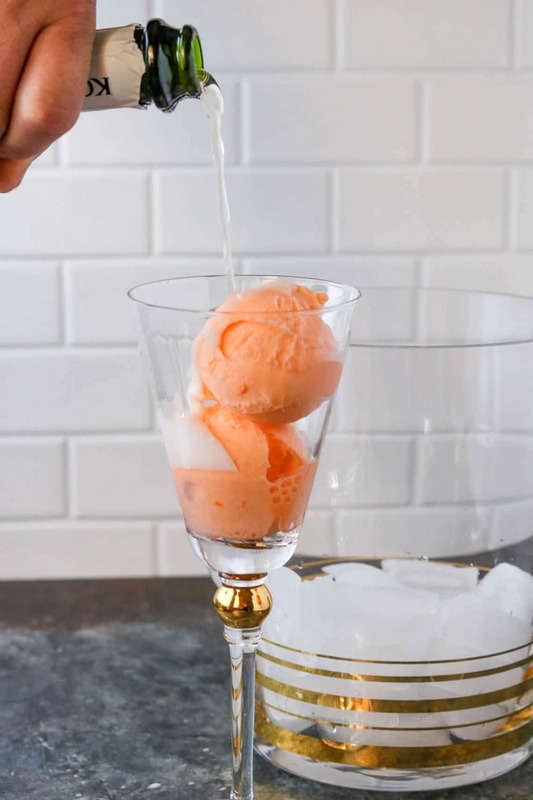 You can also swap out the orange sherbet for any other flavor you prefer, and if you’re just not a champagne fan try this with a sweet, bubbly Moscato! 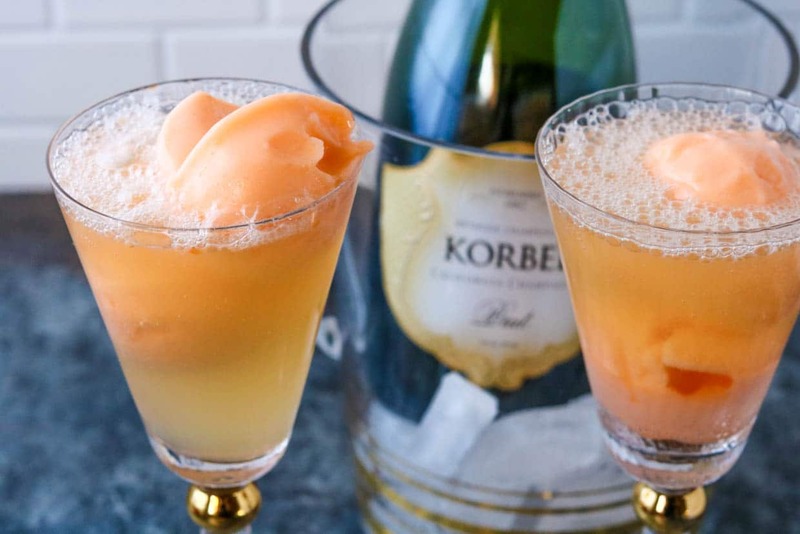 These orange champagne floats are SUPER simple to make. Simply add your sherbet then cover with cold champagne, that’s it! Count down the ball drop with one of these in your hands! 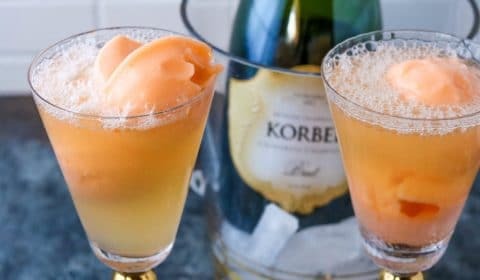 Add 2-3 scoops of orange sherbet to a champagne glass. Pour chilled champagne over the sherbet and serve. Garnish with fresh orange slices, if preferred.